Plant operators must incorporate effective precautions to prevent explosions wherever combustible gases, vapours, mists and dusts mix with the oxygen in the air to form potentially explosive atmospheres. 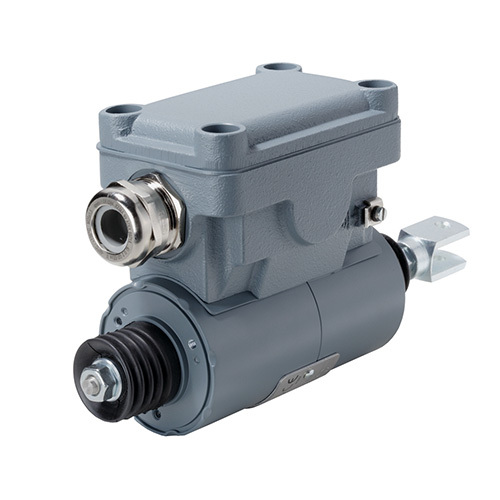 This is where the DC single direction shiftlock solenoids of the ATEX-Line can be used; they are characterized by their dynamic and reliable operation. These solenoids comply with protection type “e” for enhanced safety. Special measures have been taken to prevent the occurrence of sparks, arcs or dangerous temperatures on those parts where such phenomena should not occur during the normal course of operation. The application of an electromagnetic force brings about a linear movement from the initial position to the end position. The return movement is accomplished by external forces. 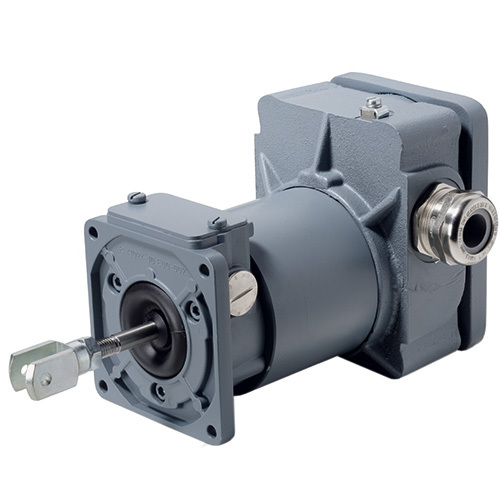 The solenoids can be installed in any position, but the force transfer should be in the axial direction only. Lateral loads increase the wear on the bearings. Other voltages up to 230 V DC are available for an extra charge upon request.